System Intelligence- Innovative, modularly structured turnout system elements create a new era of turnout development. 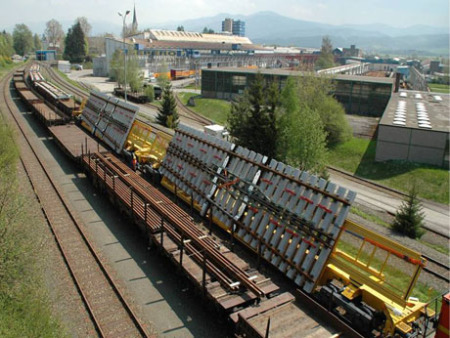 The best turnout system is pre-assembled in a VADEMSAŞ’s factory, fully functional, plug-and-play and JIT type supplied to the site and installed into the track with minimum time requirement. Plug and play - just in time. Higher track availability through short track closures and consequently, reduced time and cost requirements. Positive influence of system turnouts on “first installation quality” and life-cycle costs - the turnout components are pre-assembled in the factory and are installed in the track in this quality condition.